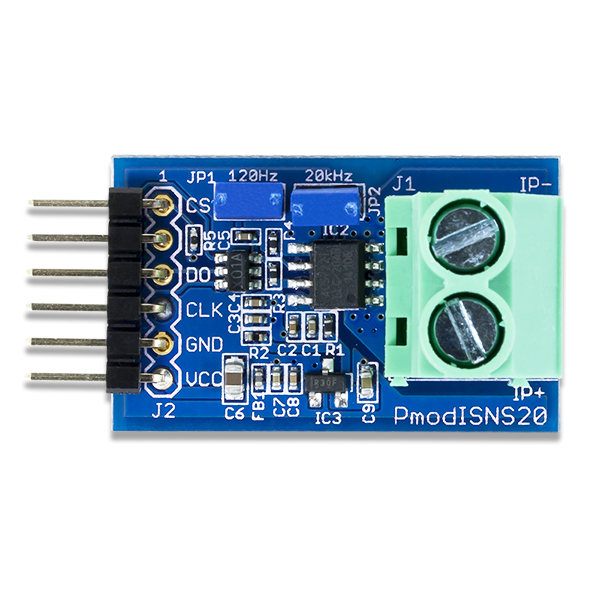 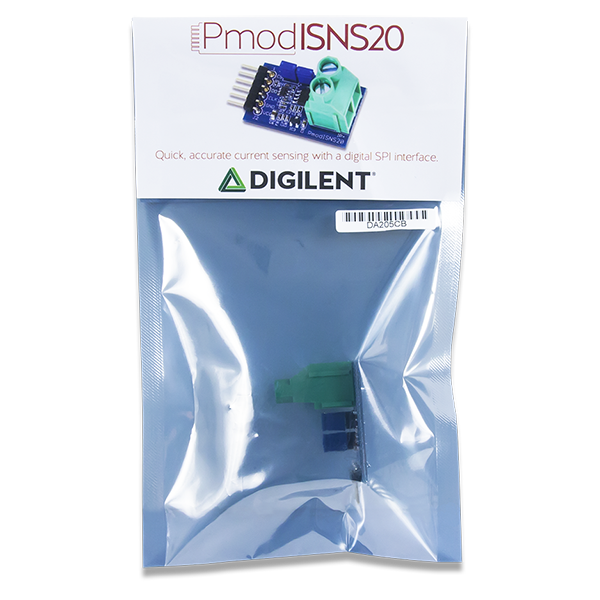 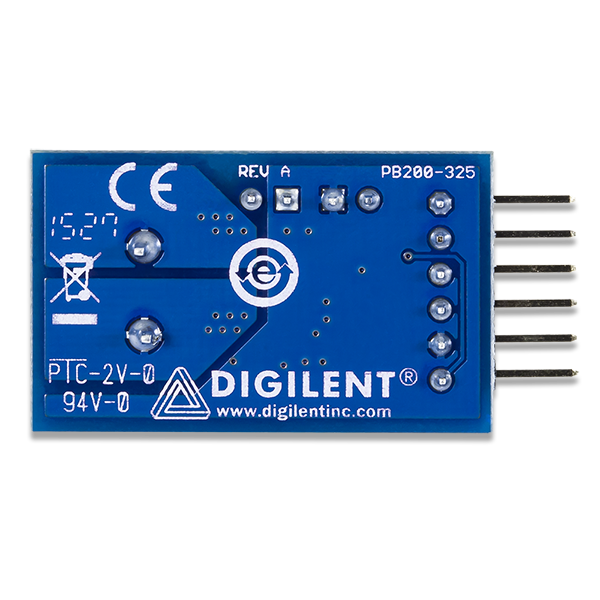 The Digilent Pmod ISNS20 (Revision A) is a small current sense module with a digital SPI interface. 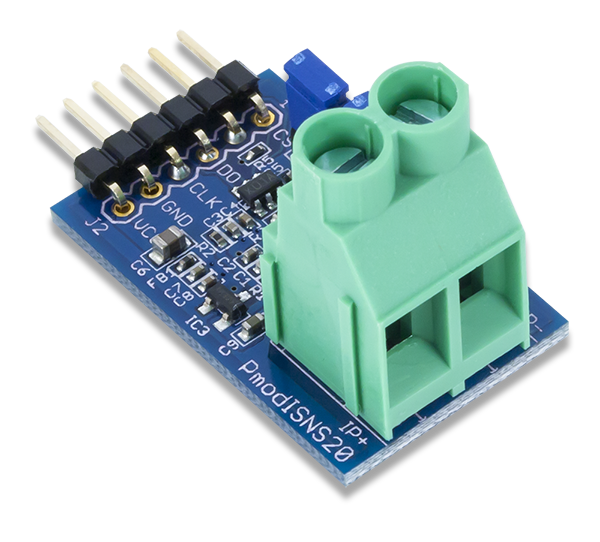 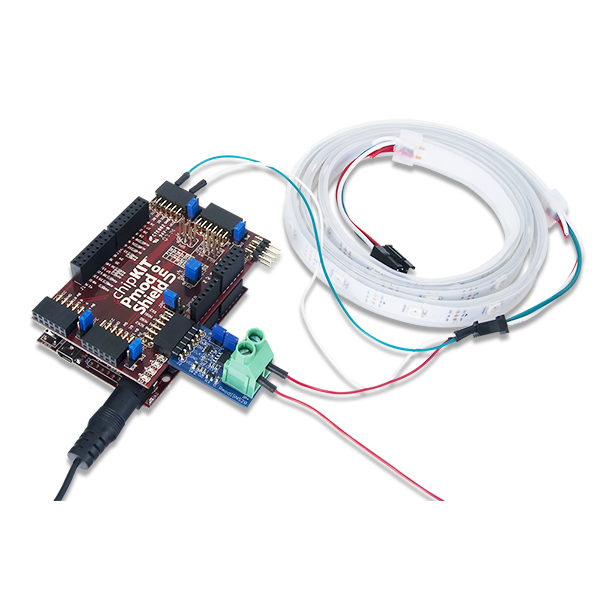 The board combines an Allegro ACS722 Hall Effect current sensor with a 12-bit analog-to-digital converter from Texas Instruments. 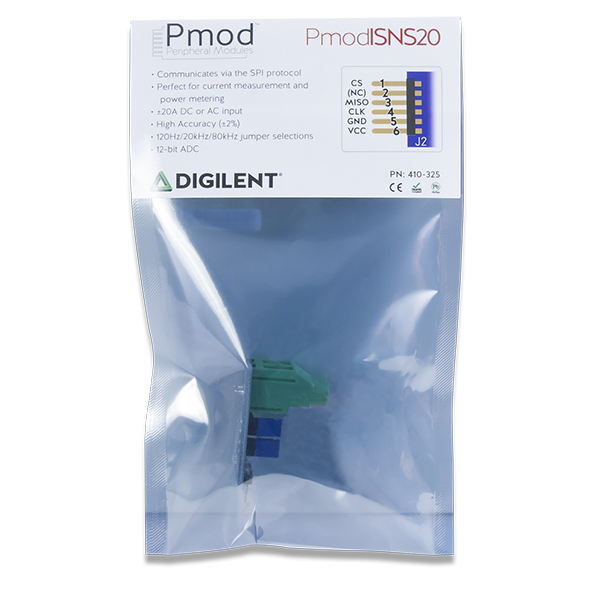 The Pmod ISNS20 is quick, accurate, and easy to use for a variety of applications.